Cars that can park themselves, cycle helmets that can communicate to avoid collisions and the coming battle between Apple’s CarPlay and Google’s Android Auto will all be hot topics at International CES in January. The latter category includes BMW’s self-parking car, which will be demonstrated to journalists in a Las Vegas parking garage. 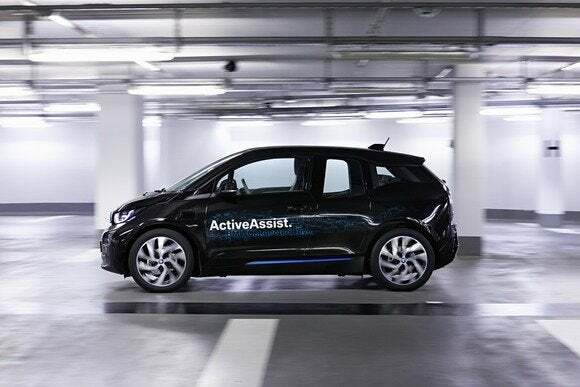 The Remote Valet Parking Assistant has been integrated in a research version of the electric BMW i3, and by combining laser sensors with digital plans of multi-storey car parks it can supposedly park itself. The goal with the demo is to show what will be possible by 2020, according to BMW. 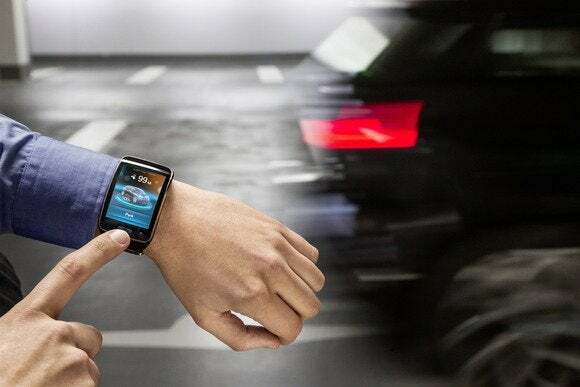 BMW's Remote Valet Parking Assistant lets you park your car with your smartwatch. A more down-to-earth product is the Display Audio infotainment system from South Korean car manufacturer Hyundai, which it will use in some of its 2016 models. 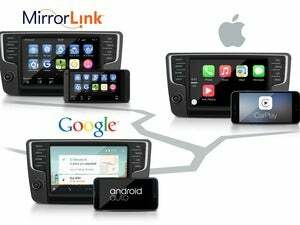 First seen at the LA Auto Show, it has no CD player or embedded navigation system, instead using Apple’s CarPlay or Android Auto to access the music and navigation features of an iPhone or Android smartphone. 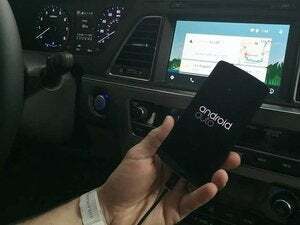 CarPlay and Android Auto work by attaching the smartphone to the car’s infotainment system with a USB cable. Once the connection is made, users can make calls, send messages and access third-party apps using voice commands or via the display build into the dashboard. The list of apps compatible with both platforms includes iHeart Radio, MLB At Bat and Spotify. CarPlay also works with Beats Music and Stitcher, while Android Auto’s initial app roster includes SoundCloud, Pandora and WhatsApp, according to Hyundai. The car industry will also be represented on stage at CES. Ford CEO Mark Fields and Mercedes-Benz head Dieter Zetsche are keynote speakers. Zetsche’s keynote will include “the world-debut of a new car concept,” according to the CES website. The description of Fields’ speech is more vague, saying that he will talk about what’s next for Ford. 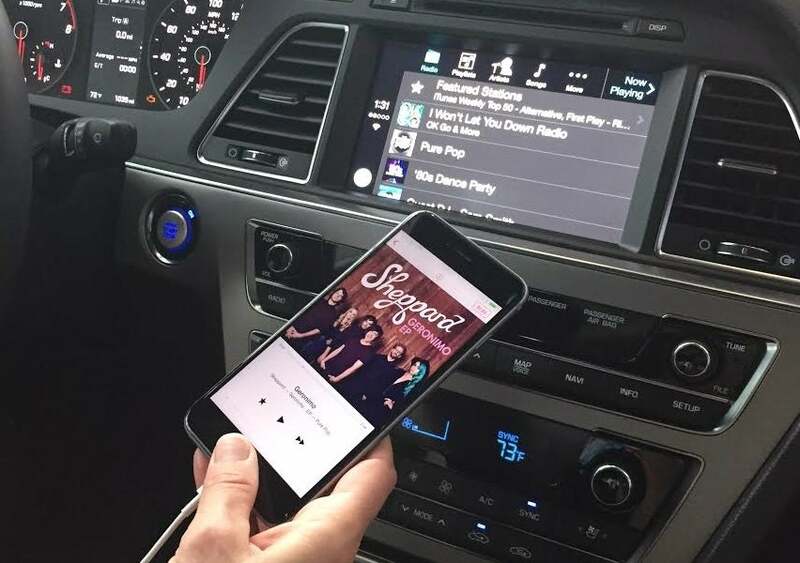 Earlier this month the company announced SYNC 3, a sweeping revamp of its own infotainment offering—including a change of operating system, from Microsoft Windows Embedded to BlackBerry’s QNX.